Recently the US Attorney General Eric Holder has been embroiled in a scandal related to a law enforcement program called Fast and Furious that sold guns to drug dealers. One of these guns was used in a shootout in which a US Border Patrol agent was killed. FaF has been roundly condemned from all sides, including by Republicans, the Attorney General, and liberal columnists. And as far as I can tell, they are all wrong in their condemnation. Yes, I am actually arguing for giving guns to drug dealers even when those same guns may later be used to shoot law enforcement agents. As counter-intuitive as this sounds, the principle is clearly demonstrated in TV’s all-time best show, The Wire. For those of you who think I am silly to cite a television drama in defence of a government program selling guns to drug dealers, you clearly haven’t seen The Wire. Get back to me when you have. For those of you who’ve seen The Wire, little further explanation should be necessary, but here’s the principle: If you want to catch a big-time drug dealer, you don’t do it by arresting the guys selling dope on street corners. The bosses are willing to put the little guys out there at risk, while they themselves are protected by various schemes to keep themselves from having direct connections to the crimes. The way to catch the big guys is to let the little guys do their thing and observe it long enough and smart enough that you can figure out how to assemble the evidence you need. 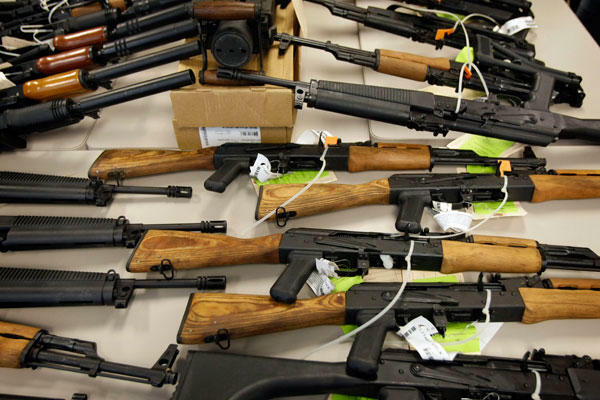 Applied to Fast and Furious, this means that in order to catch big-time drug dealers and gun-runners, it was necessary to follow the guns all the way up, and to see how they spread out. Arresting the guys running the guns across the border would have been useless. There is a limitless supply of low-level criminals ready to do such tasks, and a limitless supply of other routes to get guns. Yes, it looks really bad that not all guns involved in the program were successfully followed, and yes it is really sad that some were used in a fatal shootout. But the pertinent question is, Is there any chance that guns would not have been available to the criminals if these particular guns were not available? And the answer to that is a clear NO. Does anyone seriously think that a major Mexican drug cartel has only one or two or ten ways to obtain lots of illegal weapons? FaF did not facilitate this crime, FaF was the most likely potential way we might have found out which higher-ups were responsible, if we had been patient enough not to shut it down. I must admit that I have not read all the documents relating to FaF. Perhaps it was mismanaged. Perhaps it had little ultimate hope of succeeding. But if this is the case, the major media outlets have completely failed in their job. No story I have seen has offered any more reason to blame the program than that some of the guns were found at the crime scene of the shoot-out. If there is evidence of mismanagement or incompetence, let’s see it! As far as I can tell, it is not the ATF that has failed here, it is the media and congress that have utterly failed to understand what is required for effective law enforcement, or even the basic principles of economics as applied to the black market for guns. I will be quite happy if someone can convince me otherwise! sure I’ll learn a lot of new stuff proper here! Good luck for the next! Thanks! Feel free to share thoughts in response – I want this to be an open forum for reflection.